I’m sure many of you who are familiar with the TV show Shark Tank have more than likely heard of Dude Wipes, which is a flushable, sanity wipe for men. The product was featured on ABC reality television program Shark Tank in 2015 and is now used by athletes around the world. For thousands of years people have been using charcoal in a variety of wellness products including, charcoal filtered water bottles, charcoal purifying body washes, and now it’s even used in toothpaste. Charcoal has the proven to cleanse, absorb toxins, and it even has the ability to not only whiten your teeth but also strengthen your gums, while also removing toxins from your mouth. All you do is simply wet your toothbrush, dip it into the loose powder, brush, and rinse. In a period of weeks, you’ll find yourself with a whiter smile and healthier teeth. The Smartphone has come a long way since its conception. Samsungs has recently introduced the “Galaxy Fold” which is expected to be available sometime this year and is expected to reshape the future of Smartphone’s. The phone features a foldable touch screen-flex display, covered with an ultra-thin polymer adhesive, which will make it one of the most durable phones on the market. The 4.6 phone uses a special hinge that allows it to be opened up like a book, creating a 7.3-inch display, which can also be used as a tablet. 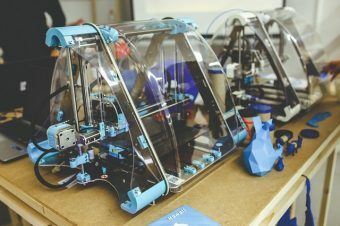 Everyone would love to own a 3D printer, but most of us simply can’t afford to spend $5,000 on a single purchase, which is why many people choose to buy a Mini 3D printer instead. 3D printing technology continues to change the world; it can print virtually anything, screws, phone cases, kitchen utensils, and much more. Everything you create is completely customizable, the options are literally endless. Brands such as Da Vinci Mini, Anet A8, and Creality CR-10 produce high-quality 3D printers at an affordable price. You can now charge your phones wirelessly, which can be extremely useful for people like me, who often misplace their charger cords. The glass charging port allows energy to pass through your phone so it can charge wirelessly on a pad or stand. Lighted mirrors are a perfect bathroom accessory; their modern, sleek exterior combined with LED lighting creates a warm ambiance and stylish aesthetic, while providing exceptional lighting. They come in many different shapes and sizes and can be easily mounted vertically or horizontally. Matcha tea is believed to help fight cancer, prevent heart disease, and reduce the chances of you developing diabetes. 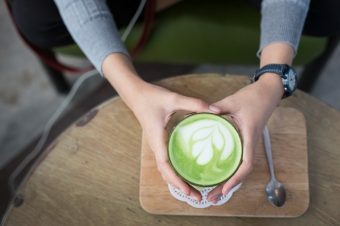 Matcha is a finely ground powder, made from processed green tea leaves, which has been used in Japan for hundreds of years. In recent years, beards have definitely made a comeback, often men will spend hours perfecting and grooming their beards. Beard oils help moisture facial hair and hydrate the skin beneath. It will soften and tame your beard hair, and can also be used as a styling agent. Often time’s professional cameras can cost thousands of dollars, but now with photo lenses, you can create high-quality pictures at a fraction of the cost. The Phone lens extends your optical zoom, without ever degrading your image quality. With global warming and entire oceans being polluted by plastic debris, it’s important that we each do our part to help the environment, which is why many people are using stainless steel straws. Reusable straws can last for years if cleaned properly, but plastic straws often contain a variety of dangerous chemicals including, polypropylene, which never fully degrades of breaks down and often times will end up in our oceans and rivers, polluting our water and killing marine life. Studies have shown that we use more than 500 million straws daily, but by using stainless steel straws, we can do our part and drastically reduce those numbers. Why Do Groundhogs Get Their Own Day? 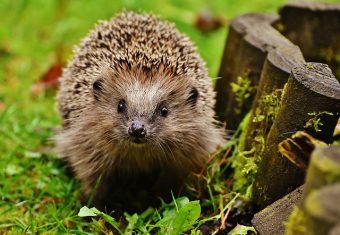 I Vote Hedghehog Day! Sign Up For The Paciat Newsletter! There’s So Much Cool Stuff In This World, Where Do We Even Begin?